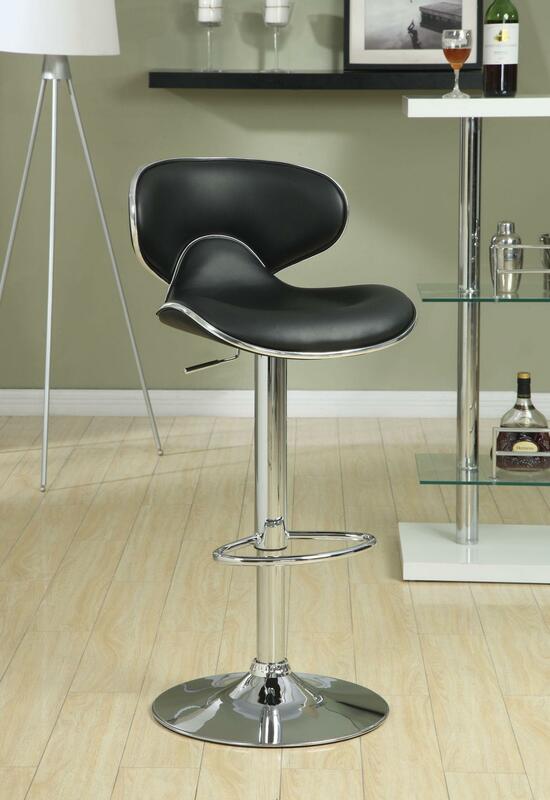 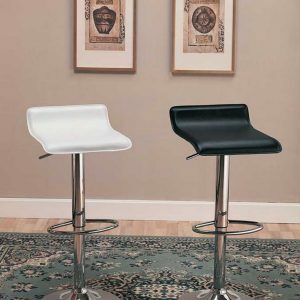 This cool contemporary faux leather bar chair will be a stylish addition to your casual dining and entertainment area. 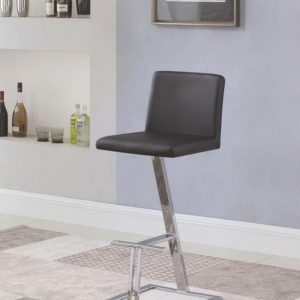 The plush tufted stool back and seat are covered in a rich faux leather, in either brown or black to complement your taste, framed by sleek track arms. 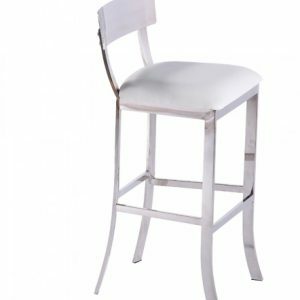 A shiny steel base with a high polished chrome finish supports the chair, with an adjustable height mechanism for a height of 34.5 inches to 42.5 inches high, and sleek footrest below for comfort. Transform your home into a fun hangout with this stylish bar stool. 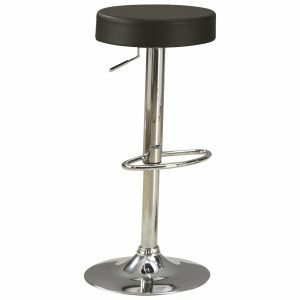 Finish: Brown/Polished Chrome.